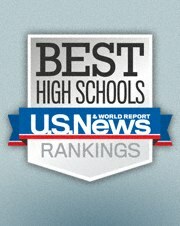 For the year 2013, US News teamed up with a renowned Washington, DC-based research firm to rank all the high schools in America. Together, they analyzed over 21,000 public high-schools in 49 states and D.C.*. How did US News come up with their ranking of Best High Schools? 1. Identify the schools that had above-average test results for reading and math (in standardized tests). 2. Next, they considered the results of the least-advantaged students in those schools and ensured that their test results were above their State average as well. 3. Lastly, the schools that made it through the first two steps were judged based on their “College Readiness Index (CRI)”, calculated by using Advanced Placement (AP) and International Baccalaureate (IB)** test scores of the 2010-2011 academic year. Once they had a list of schools that qualified for the first two steps, and calculated the College Readiness Index (CRI), they calculated the median of all CRIs. 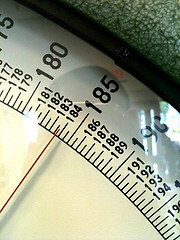 The median (the statistical mid-point) of the CRI calculation this year was 14.8 (out of a max CRI of 100). They used the median to determine the cut-off point for the Medals. The schools that scored above 14.8 in their CRI calculation were eligible for Gold Medals (the top 500 schools by CRI) and for Silver Medals (the next 1,790 schools). Some schools which met the first two steps, but that had a CRI lower than 14.8, were eligible for a Bronze Medal. Once the schools were awarded a Gold or Silver medal (but not Bronze), they were ranked Nationally. From the National ranking, the ranking panel generated the State Rankings. State rankings mirror the national ranking. For example, the highest Nationally-ranked school from Virginia (No.4 on the National Ranking), is the No.1 school on the Virginia list. If you notice, the top 11 high schools of all of Virginia are here, in Northern Virginia (see how the VA ranking on the first column run from #1 to #11 without a break). And out of the top 32 high schools in Virginia (of about 300 total high schools), 15 of them are in Fairfax County. Also, it’s important to note that only 51 of the ~300 were ranked. Unfortunately, no ranking is perfect. Some people have indicated on the US News website that if a school is affiliated with a college, and it offers college courses (but kids don’t have to take the AP test) that it isn’t ranked, so the ranking misses these really good schools. Other people point out that schools with fewer less-advantaged students will fare better on the ranking. And, in other cases, schools such as Thomas Jefferson (TJHSST) while it is a public school, it is not a neighborhood school (with attendance determined by a boundary), but is, instead, an admissions-based school and that it should only be ranked among its peers. Regardless of the flaws of this ranking, we believe that it is one of the tools along with our Ultimate Ranking® that you can use to learn more about the schools in Fairfax County. Using the US News 2013 ranking, we will be updating our Ultimate Ranking(R) shortly, where we compare SOL scores, SAT scores, as well as the latest The Challenge Index® to help you choose the school that meets your needs best. Log into The Ultimate Ranking® (2011-2012) to see how these schools compare. From The Ultimate Ranking® page, access The Fairfax County School Boundaries Map to find where each of schools in Fairfax County are located (plus Real Estate statistics, Elementary and Middle Schools scores, and you can search for homes for sale within each boundary) . Plus, you get the Fairfax County Real Estate Affordability Map, AND detailed information about each Fairfax County School boundary. ** Advanced Placement (AP) and International Baccalaureate (IB) are renowned private programs which offer college-level courses and/or curriculum at high schools.